The Band of Bro's' concert! 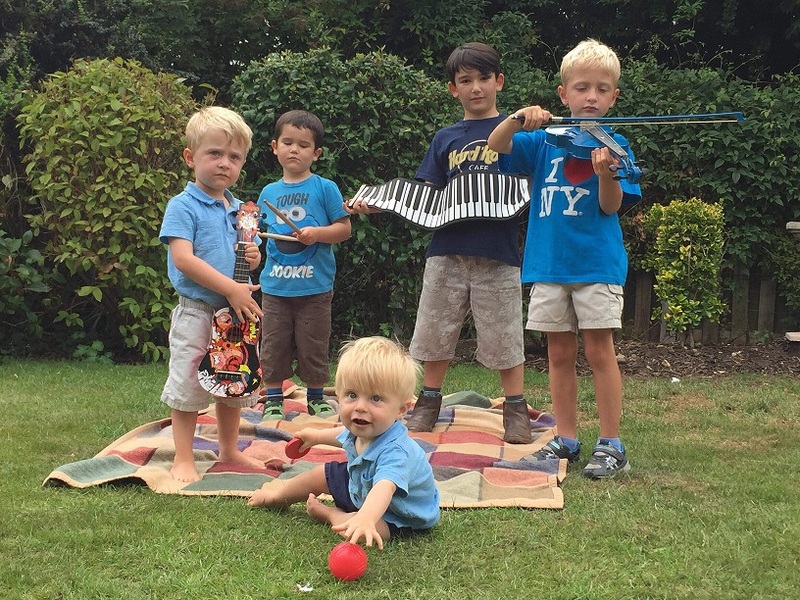 A big thank-you to the 'Band of Bro's' who put together a fabulous summer concert and collected £11 in loose change in aid of APP! We're told "they made signs, tickets and did a little performance" all in aid of APP to the delight of their mothers, grandmothers and friends - what a lovely surprise. Perhaps they'll repeat the performance for our Music 4 Mums event next May! 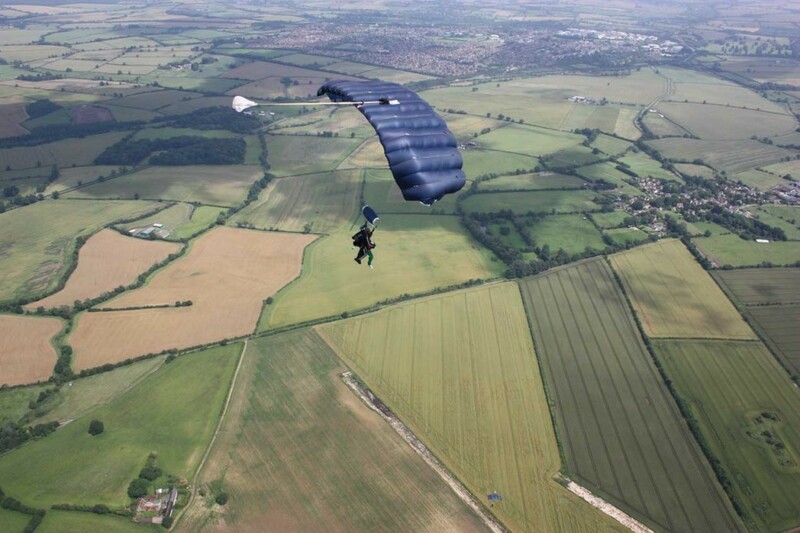 Dominic has bravely decided to jump out of a plane in aid of APP! 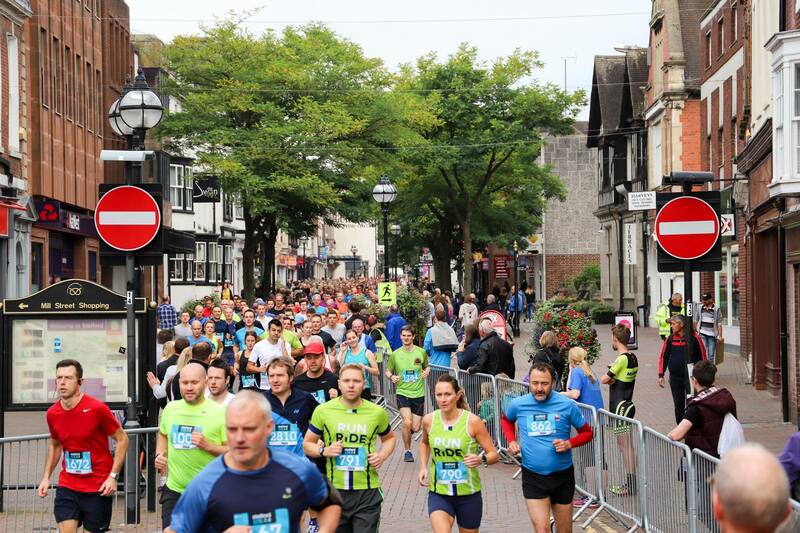 A big Thank You to Sophie, who is running the Stafford 10K on 23rd September, in aid of APP! Three cheers for Anna who is taking on the Scottish 10K on Sunday 23rd September in aid of APP! 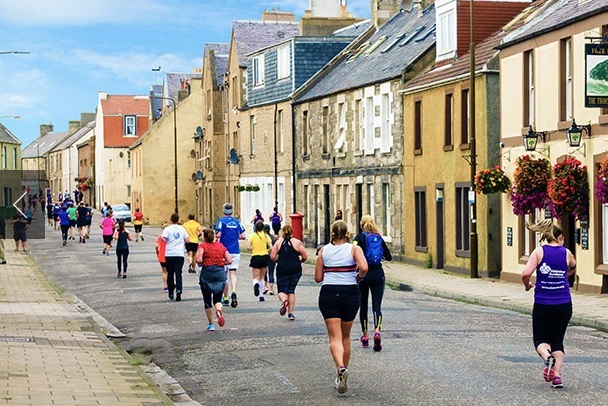 The Scottish 10k (& half marathon) begins just outside Edinburgh and taks you along the magnificent East Lothian Golf Coast before finishing in the final furlong at Musselburgh Racecourse. 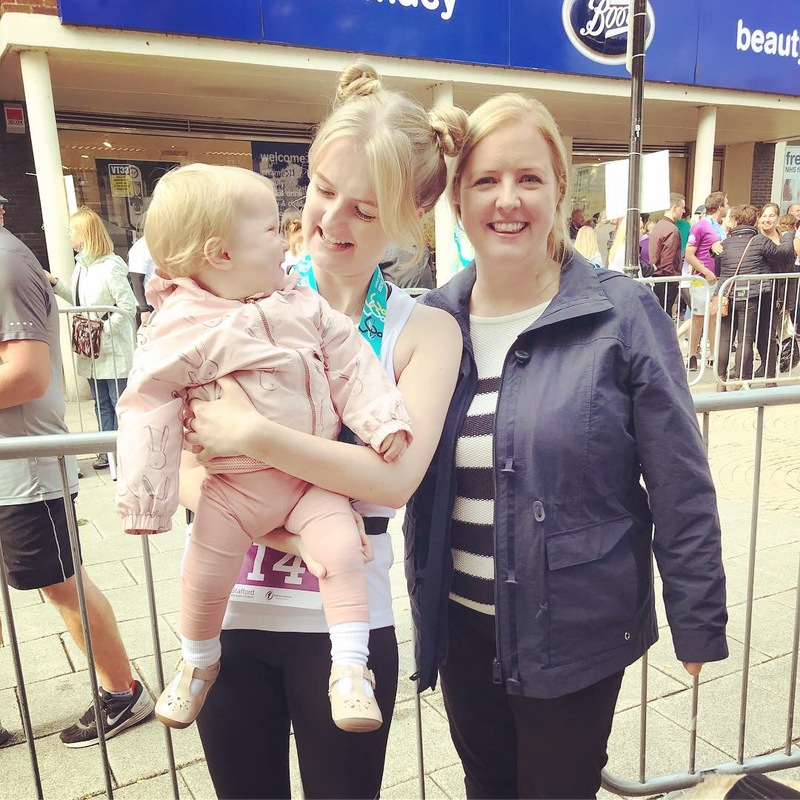 Harriet takes on the Great North Run! On Sunday 9th September, Harriet will be taking part in the Great North Run in aid of APP! 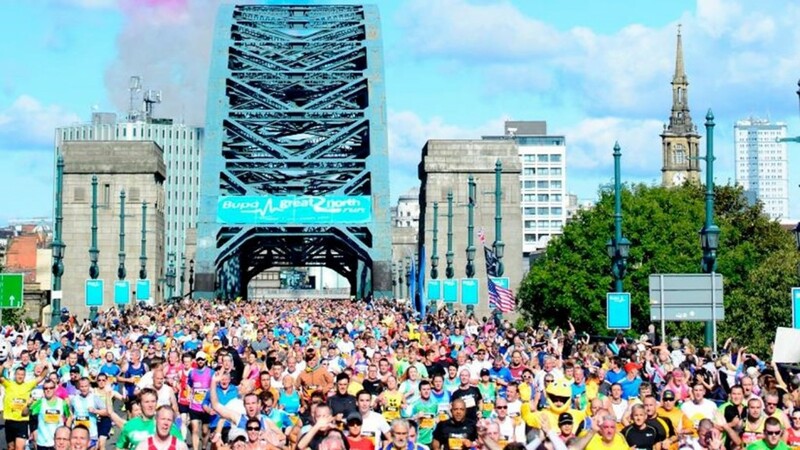 The Great North Run is the biggest half marathon in the UK and the World with over 57000 runners taking part in the famous 13.1 mile journey from Newcastle's city centre to the coast in South Shields; all live on the BBC! Harriet says: "Postpartum Psychosis is a truly horrific and indiscriminate illness that can strike any new mum regardless of never having any mental health issues previously. It struck me like a bolt out of the blue and will forever be the worst experience of mine and my families lives. After a long recovery I made it out of the other side...slightly battered and bruised but intact thanks to my fantastic, compassionate and loving family and friends. The help APP offered was amazing, they were there with me every step of the way and I poured over their literature and was a frequent visitor the online forum. I was appointed a peer supporter and she was a real strength. We need to continue to educate and promote awareness of this truly terrible and life changing illness. Funds raised will go towards offering training to midwives and health visitors to make them aware of the risks and symptoms and it will also enable the crucial work of the peer supporters." 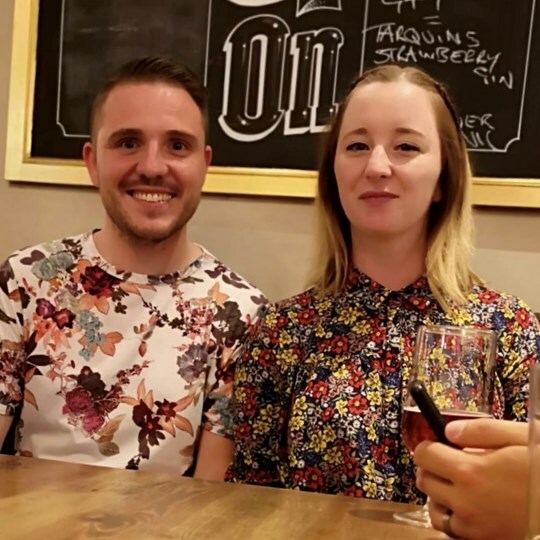 Harriet's JustGiving page is here - please support her amazing challenge and donate what you can! Thank you SO MUCH Harriet for all your support, dedication and hard work in taking on the Great North Run challenge in aid of APP. We wish you the very best of luck for 9th September! 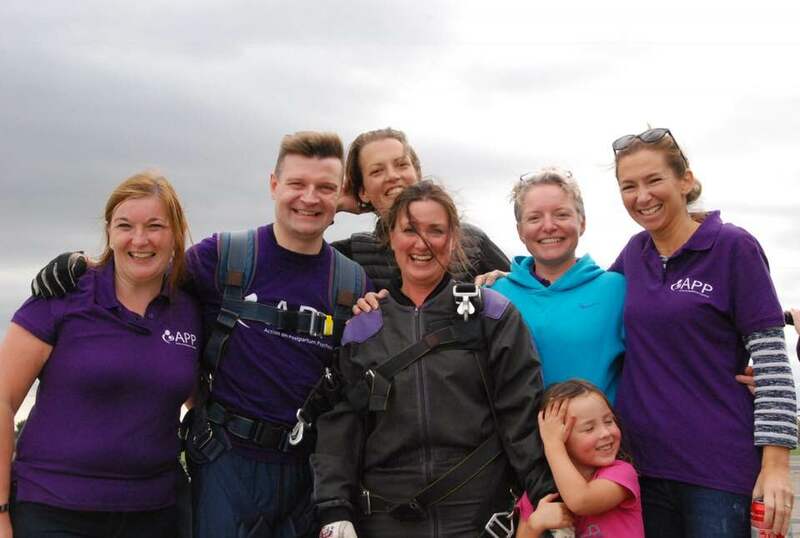 Team APP & friends' group skydive! 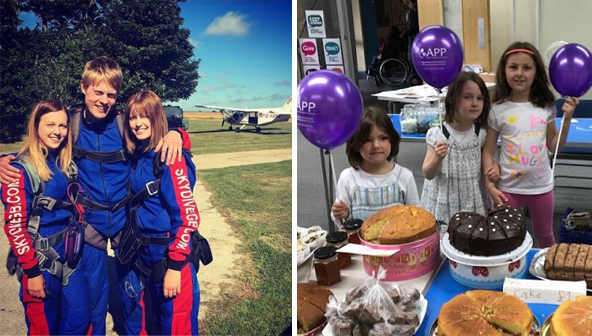 On Sunday 16th September, members of APP's Board and staff, together with some friends, will be taking part in a skydive to raise much needed funds for APP! 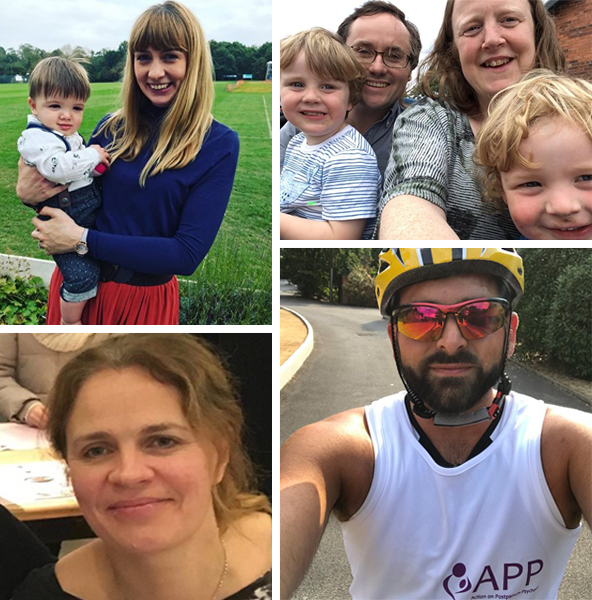 They've joined together to raise money across their individual JustGiving pages for APP - you can visit their team fundraising page here - Please donate what you can to help them smash their goal! Dr Jess Heron says: "You might have seen Adele speaking out this week in support of her friend Laura who has written a moving and articulate blog about the illness. It is a frightening and devastating illness that affects new mums, often out of the blue, in the days following childbirth. It is as common as Downs Syndrome and is a leading cause of maternal death. These deaths are preventable - PP is eminently treatable - with the right information and support, women recover and have happy family lives. With young children myself who mean everything to me, I have to admit to having a few second thoughts about doing this (!) but I want to join our dedicated APP staff, trustees and volunteers taking on this challenge. So, please donate and help me make a difference." 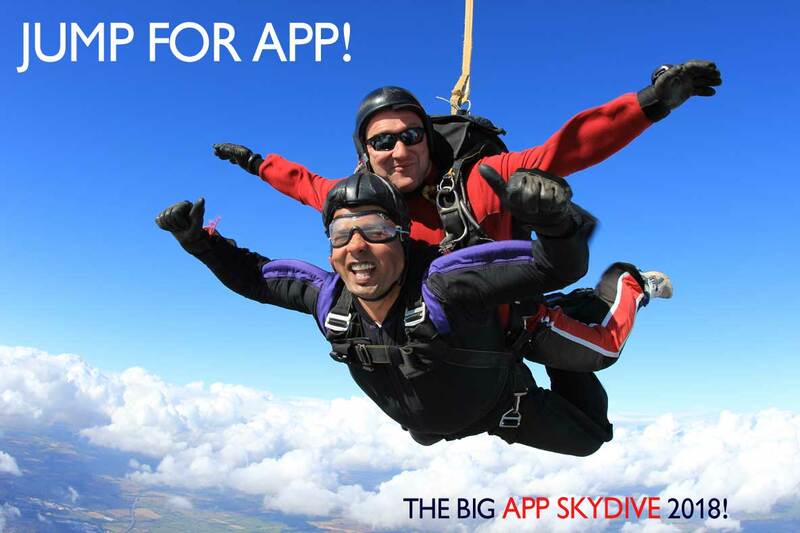 If you'd like to Jump for APP in our Big Skydive Challenge for 2018 please get in touch for all the information, or read about it here - Thank you! APP are delighted to announce we are taking part in the 2018 Big Give Christmas Challenge! The Big Give Christmas Challenge is the UK's biggest on-line match funding campaign which helps UK-registered charities raise funds for their cause. For seven days, it offers supporters of participating charities the opportunity to have their donation doubled on theBigGive.org.uk. We need to identify individuals or companies willing to pledge amounts of £100 or more. If we can gain over £1000 in pledged donations by 31st August 2018, then it's full steam ahead for The Christmas Challenge 2018 week, which will run from midday #GivingTuesday on 27th November until midday Tuesday 4th December. The money raised will help us develop a new resource - A Guide to Parenting following Postpartum Psychosis. The guide will bring together practical tips from mums, dads and families who have been there, as well as from academic and clinical experts. It will cover issues such as building confidence and supporting bonding in the early days, through to ways of talking about PP to older children. We will develop resources for use with different age children to help parents talk to their children in age appropriate ways about PP. If you know of individuals or companies willing to pledge amount of £100 or over, please get in touch.